Our trained Befriending Volunteers visit older adults in their homes. They aim to keep their clients more active and help them get out of the house and more involved in their communities. which enable older people to meet up with old and new friends. The service is open to those aged 55 and over and are located in Glasgow. emotional support networks or are otherwise socially isolated. We can also provide telephone befrienders to those who would like a regular phone call if they do not require a visit. You are welcome to self-refer, should you feel like you would benefit from this service. However, if you are a carer and are looking for some respite, then our service is available to your client as well. To refer someone to the befriending service, please download and fill out the referral form and send it back to us. We will then ask you to provide us with some information about your client, in order to enable us to match them with a befriender. Please do not hesitate to contact our Engagement Volunteer Officer, should you have any more questions. The recently published 2018 draft national strategy to tackle loneliness and social isolation sets out a vision for a Scotland ‘where community connections are increased and no one is excluded from participating in society for any reason.’ The strategy recognises the key role that strong social relationships and connections have in determining our quality of life.  Glasgow’s Golden Generation Befriending Services are able to demonstrate why befriending is so important to improving the quality of life for people who are housebound, lonely and isolated, living with dementia and their unpaid carers. It shows the positive difference that befriending can make to health and well-being, to confidence and self-esteem and to reducing social isolation and loneliness. Our Befriending services helps our clients to experience a greater sense of confidence, independence and well-being, as well as being able to exert more choice and control in their lives. Befriending is particularly valuable to people aged over 55 not only in terms of reducing loneliness, but also in providing information and signposting to other services and activities that could be of benefit. Befriending for carers can deliver equally important benefits for health and well-being. Evidence from the Life Changes Trust befriending projects demonstrates how important these social supports are for carers in reducing isolation and increasing their well-being and ability to cope. Research into befriending services shows that, on average, people who used a befriending service reported feeling more connected, more interested and more mentally resilient than they did before the service. People also reported a significant change in lifestyle as a result of the volunteers who had befriended them. Your donation helps ensure that we can continue to serve older people throughout Glasgow.